Mommy Ginger - Page 153 of 156 - Let's talk about Business, Beauty and Babies! An Interview with Momtrepreneur Angel Cristobal, the owner of Keishables. Angel is a full-time mom & wife and part-time online seller/momtrepreneur. She’s the mother of one adorable little girl named Keisha (26 months) and wife to a loving and supportive husband named Kirby. She is a self confessed lover of arts and crafts. She loves scrapbooking, photography, designing and event organizing (just for her family and friends). Here is my interview with Mommy Angel. Ginger: Hi Angel! Can you tell me more about Keishables? Angel: My business, Keishables, is named after my daughter. What I do is I sell raw materials for making hair bows. It was only in the latter part of 2012 when we decided to join bazaars to sell hair bows ourselves. I founded Keishables in June 8, 2011. I’m proud to say that we are at 1 ½ old now. Ginger: That’s pretty interesting. You are the first mom who I have encountered to have that type of business. So, who do you think your market is? Angel: My market is mostly moms who also want to have their own business by selling hair bows online. I also have some clients who are crafters and moms who just want to make bows for their daughters and who do not intend to sell. Ginger: I’m sure a lot of people would like to know how you came up with this idea, since it’s pretty unique. What made you decide to start this kind of business? Angel: When my Keisha was born in 2010, I was really having fun making her fancy flower headbands and hairbows. Many people asked me “Where did you buy it?” and of course, proudly, I would answer: “I made it!”. That was when I thought of having my stuff available online. I went to Divisoria to buy hairbow-making materials, but unfortunately, I did not find any store selling polyester grosgrain ribbons (which is usually used for making hairbow). I found one store who sells nylon grosgrain ribbons and tried it out, but it didn’t work well because it wasn’t as nice and fluffy once you make it a hair bow. During that time, my husband went to China and I asked him if I can order some ribbons there. I made my research and I found one manufacturer who happens to be in the same province where he was going. I ordered online and didn’t notice or even imagine that I ordered a lot! (I was thinking that the ribbons I ordered were just in small spools). When my supplier delivered it to my husband, it was 3 balikbayan boxes! He wasn’t able to bring it home due to its weight and we opted to just ship it here in the Philippines. Since I had all of these ribbons, I decided to sell some ribbons online. I was surprised with the how many people wanted to buy. Many crafters and moms were looking for it for a long time already so I started importing from then on. Ginger: That’s a great story, Mommy Angel. With all of these successes, were there any obstacles that you faced when you decided to pursue becoming a momtrepreneur? What are these? Angel: Working at home is a bit challenging if you have a toddler. My daughter wants to have “Mom and me time” for almost all of the day so when I’m working, she gets my attention by pulling my ribbons from the rack or playing with my resins or centerpieces. Another challenge is having a permanent time for work. If you work in an office you often go to work from 8:00 am to 5:00 pm, but in my case it’s usually between Keisha’s nap or sleeping time. I don’t have a helper, so that’s the only time I have for myself and work. Ginger: What are three traits that you think a momtrepreneur should have when starting their own business? Angel: I think every business starts with passion. Without it, you will not be successful in any type of business. Time management is also crucial for a momtrepreneur, because managing a household and business at the same time is really tough work. You also need the courage to be innovative when it comes to your service or products. Do not be afraid to introduce something new to your market and don’t be afraid of your competitors, as well. Competitors are there to bring out the best in you. Ginger: What advice can you give to other Momtrepreneurs? Angel: I think the best advice I can give is our word of life: Isaiah 43:5 “Do not be afraid for I am with you”. If there comes a point that you feel you have failed in your business or in any aspect of your business, always get the support of your family, most especially your husband. Pray to the Lord and claim that you will regain abundance and find solutions to your problems. Ginger: Those are great words, Mommy Angel. Thank you for our time and I hope that momtrepreneurs out there get to be inspired with the story of how Keishables came to be. It’s my 31st week of pregnancy today. I have 9 more weeks to do. We just had another peek at my Zeeka yesterday morning as we visited Asian Hospital’s Women’s Health department. Last week (week 30), we had our first 4D Ultrasound, but Zeeka that time was sound asleep. To add to that she, placed her umbilical cord infront of her face so we couldn’t take a good picture of it. She showed herself for 2 minutes and really looked at the ‘cameras’ and then hid. My daughter is already trained for the paparazzi as early as now. Anyway, yesterday, I went with my family to check out Zeeka. The tip of the Dra. who did my ultrasound the last time was to eat and drink a lot before having the 4D Ultrasound. So that is what I did. I ate a half cup of brown rice, longanisa and taho for breakfast. I also drink A LOT of water! Because of this, when we got to Asian Hospital, I rushed to the rest room to pee! I think I overdid ‘drinking’. Anyway, true enough, Zeeka was now more enthusiastic and awake! Here a video of her getting inis (irritated) with all the scan and picture taking! 🙂 LOL! She was gracious enough to look at us the whole time! Good job, baby! Does she look like me or my husband, EJ? 🙂 hehe! The 4D Ultrasound at Asian Hospital costs Php 4500. You have to make an appointment. The best time to have a 4D Ultrasound is between 28 – 31 weeks. In Asian Hospital, they have obstetricians who really take time out and wait for your baby to show itself in order to take a good picture. Aside from that, they of course, have to go through the entire process of checking on the bones, body parts, and weight of the baby. The fee comes with a CD of videos and pictures of your baby. They will also give you two printed colored pictures and several black and white ones. The doctor gave us one free scan since during the first visit, we didn’t really get to see a lot of Zeeka. So again, tips before you have a 4D Ultrasound is to take in a lot of water and food! Really! This will help, indeed. One of the things that I realized this year is that if you want something done by your maid, especially if she is new, you really have to teach her and train her using step by step instructions. I never had a maid before (since my mom was the one who trained our maids), so I’m new to all of these. But this January, I made it a point to learn all there is to know about house cleaning, cleaning your refrigerator, cleaning the oven, laundry, ironing and yes, a little bit about cooking (I know my friends will gasp at this thought of me cooking). Step 1: Unplug the refrigerator. Step 2: Empty out your refrigerator of all the food inside. Check on the expiry dates. For those already in food containers, check for those which are spoiled already and throw it out. What I do is I prepare a garbage bag already prior to sorting so that you can easily toss out spoiled food. Step 3: Vacuum the refrigerator coils. If your refrigerator is an area where you cannot see the coils, move it so that you can see the coils. Vacuum the coils to remove dirt and dust. For dirt and dust that cannot be vacuumed, try to brush it out then vacuum the remaining dirt and dust. Step 4: Clean all the refrigerator doors (outside). Check also that door seals are cleaned and no food is caught. Step 5: Wash and clean all of the shelves and drawers. Take out all the shelves and drawers of the refrigerator. Clean the shelves and drawers using water and dish washing liquid. Be sure that the soap is completely rinsed out. Step 6: Wipe the insides and walls of the refrigerator. Using a damp clean cloth, wipe the walls of the refrigerator. See to it that stains are removed and everything is completely spotless. Step 7: Return all the drawers and shelves. Step 8: Return all the food into refrigerator. Clean the outer portion of the food containers before putting them back in. Use a clean towel for wiping. Rinse fresh fruit before keeping them inside the fridge. For our next cleaning schedule, I will try using this formula for a cleaning solution from Martha Stewart’s site (Marta Stewart Cleaning Products 101): Mix a paste of 3 parts warm water to 1 part baking soda to scrub kitchen stains or clean the oven. Step 9: Keep your refrigerator odor free. Baking soda is not only a cleaning solution, but also an odor remover. Yo can actually keep an open box of baking soda open or use this HomeLife Active Carbon Absorber and Gel Neutralizer. We bought this from the grocery. Just be sure to keep this away from your children since this is not edible. I am in the process of reviewing and ‘re-reading’ some of the books that I have read before. I am not much of a reader, to tell you honestly. The books that I love reading are those that give tips for entrepreneurs, personal finance management books, entrepreneur/start-up guides and branding books. One of the books that I am reading now is Stephen M. Pollan’s Die Broke released in 1997. And in the first few pages of the book, specifically in page 23, he discusses the change of attitude towards work based on socioeconomic patterns. He suggests that we adopt what he calls the Mercantile Ethic. Most of us are defined by our work. I remember the time when I was still working for a corporation as an employee. I would obviously be proud that I was a product manager in one of the stable banks in the Philippines. In each seminar or event that I would go to (even if it wasn’t related to work), I would introduce myself as a banker. And in my day-to-day job, I would think of what’s best for the company even if it meant going home really late at night or sacrificing weekends just to finish a presentation or even skipping meals just to meet deadlines. Now, what Stephen Pollan says is that in this day and age, their is no such thing as corporate loyalty. This is a reality that we all have to face. He suggests that we try ‘quitting in our minds’ today. What does quitting in our minds today mean? We need to start thinking of ourselves, too. This is one of the tips for entrepreneurs that I believe in. Why did I bring this up? 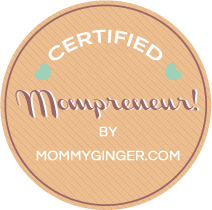 A lot of people ask me, how did you make the jump from the corporate world to become a momtrepreneur. It wasn’t an overnight thing, believe me. You don’t just wake up and resign and then viola! You start your own business. It will take a lot of thinking, self-control, decision making, analysis, reflection, self motivation and will power. In January 2012, I already probably (in Pollan’s terms) quit in my mind. 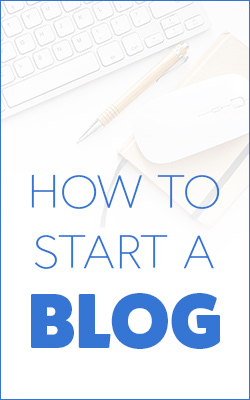 I knew that I wanted to have a baby already, so I was taking steps to start my own business and create extra income — income that would eventually take the place of my monthly pay. I was ‘intentionally’ steering towards that direction of being a work-at-home-mom. Being a workaholic, it wasn’t easy. I was still working late and working during weekends, but time management was a strength of mine. What I did was I created a schedule that would allow me to work on the things that I wanted to do in the future while still working for my employer. I was still doing a great job at work, mind you, but I was INTENTIONALLY thinking of my own bottom-line, too. Do your job exceptionally well during work hours and then go home and do what you love. Weekends and evenings should be all about you. No working… stop yourself! And there are no such thing as dues to be paid to your company for providing you pay and benefits. This was one thing I had to learn. I’m a nice gal and at the back of my mind, I always think that I have dues to pay to other people for things that I should actually be expecting and getting. Your pay is the ‘pay’ment for the job that you do well. You don’t owe your employer anything, in fact, for those days that you needed to work more than the required time, they should have paid you more. I know it’s easy to say, but difficult to absorb. Changing your attitude towards work will definitely be the first step if you are still working and thinking of becoming a work-at-home-mom or a momtrepreneur. It’s not the easiest thing in the world to do, but it can be done. Momtrepreneur Dra. Laddale has been thinking of setting up an online all-natural baby shop for the longest time. Why this advocacy? This thought started when their first born contacted Skin Asthma/Eczema. She tells us more about her business idea in this interview. It was just last August 2012 when she took the leap and decided to give it a go. Basically, Luli is really just a baby in the industry, according to doctora, but even if the are fairly new, she continues to say that they have “been so blessed to have a roster of loyal clientele already and we are so thankful for that”. At the Babypalooza Bazaar: her first ever bazaar! Here is my interview with Mommy/Doctora Laddale. Ginger: Hi Doc! Can you tell us more about your business? Laddale: Luli is a little online shop showcasing all natural, mostly organic, multi-purpose, and locally handmade, reasonably priced products that your family and mother earth will surely love. What we carry are our favorite all-natural brands — BIODEGRADABLE AND SAFER ALTERNATIVES from the usual commercial products lingering everywhere, jam packed with harmful and unnecessary chemicals! Ginger: Where did the name Luli come from? Laddale: For our store name, we initially thought of lili&lulu, from our daughters’ nicknames, Lily and Lulu. We found it too long though, so we settled for Luli, which was easier to remember. Ginger: What makes your store different from other online stores? Laddale: What is unique is that we try as much as we can to be transparent, honest and generous with product information. If applicable and amenable to our suppliers, we include manufacturing dates, best before dates, expiration dates, prices per given volume/weight, dimensions, product container, etc. of the products we carry. We try our best to give you a visual feel of our product line. In so doing, we believe, that you will get the best of what you are looking for. Ginger: Who is your market? Laddale: Luli caters to like minded individuals who believe in the benefits of natural, organic and earth-friendly products. Families who share our advocacy of natural parenting would also find our store a one-stop shop for their needs as well. Laddale: Everything started when Liliane, our first daughter was diagnosed with Atopic Dermatitis (Skin Asthma/Eczema). After exhausting commercial medications to provide relief of her itching and dry skin, we started researching for more worry-free and hopefully more effective and economical remedies to soothe her symptoms. Our search for these alternative drived our thirst for everything natural and organic. And because these products delivered their function very well (so far no flare-ups of her itch-scratch cycle since we started her on naturals), we decided why not share this wonderful advocacy that is natural parenting to fellow Filipinos. Hence, Luli. But the number 1 reason for our pursuance of this venture is our decision to provide the best care and guidance to our precious little girls, especially in the crucial first 3 years of their lives. We believe that this can only be accomplished well if parents will be very hands-on at home. And since I temporarily postponed my hospital training, I still wanted to help provide for our family, so we decided that we open a small online store. To be honest, income isn’t much in this business. But the happiness brought about by being a Work-At-Home Mom is enough to fuel start-up of this business. And income is income, no matter how minimal. Help increase your milk supply with 500mg of Malunggay capsule with added bonus of Vitamin C! Ginger: Were there any obstacles that you faced when you decided to pursue becoming a momtrepreneur? What are these? Laddale: Being a business nincompoop, probably is the number 1 challenge for me. Those 9 cumulative years I spent in becoming a licensed physician obviously didn’t have any business 101s. But with guidance and support from my family and fellow momtrepreneurs, and of course with God’s blessings, I am, so far, coping with these challenges. Also, we don’t have any help at home and I do most of the cooking, household chores and business operations. We are still in the process of mastering time management, but we’re slowly getting there. Ginger: What do you think are the three traits that a momtrepreneur should have when starting their own business? Laddale: Actually, you only need just 1 — PASSION. Passion drives everything in this business. When you are genuinely passionate in what you do, faith, hardwork, patience, trustworthiness and good client relations, becomes automatic. Laddale: I’m very honored to be asked of this question. We are still new in the business but being asked for advice to fellow Momtrepreneurs and those planning to venture in this business is very humbling. To my fellow WAHMs, just keep your passion torch burning and continue to innovate, create, inspire and impart knowledge and skills to our fellowmen. To our would be Momtrepreneurs or those thinking on getting into being WAHMs, GO FOR IT! Don’t overthink! Remember we are women, blessed with powerful instincts. If you feel that this is good for you and your family, just do what research you can, and then go for it! We may feel doubtful or timid at times but these are just normal feelings for mothers thinking of leaving work to stay and work at home. But of course none of these will be possible without blessings from our Almighty, so prayers really are very important. We should continue to learn, strive hard and pray to be able to sustain. Ginger: Thank you, Dr. Laddale, for your time! We are looking forward to interview you again in the future. Wishing you continuous success in your business.